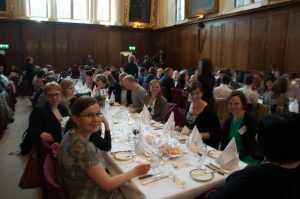 From 21st to 23rd of May 2015 more than 260 ALS researchers attended the 13th international ENCALS meeting at the beautiful historic campus of Trinity College Dublin, Ireland. “The ENCALS meeting is an important forum for the European MND community. The aim of the meeting is to encourage younger researchers to present their data, and to meet and interact with more established members of the community,” explained Prof. Orla Hardiman in her introduction speech. Subsequently, Prof. Leonard van den Berg, chair of ENCALS, explained the no-tie policy, emphasizing the informal atmosphere of the meeting. Also, he talked about how ENCALS has grown to include 32 ALS Centres throughout Europe and also including Turkey and Israel.The hosts welcomed over 260 researchers from around the globe. The program highlighted state-of the-art science and clinical practice in the field of ALS. The focus was on Genes and Genomics, Cognition, C9orf72 and Novel Therapeutics, Imaging, TDP: RNA Metabolism and Disease Pathogenesis, Disease Models and Pathogenesis and Novel Biomarkers. Top international speakers provided cutting edge overviews. ENCALS welcomed eminent researchers from both sides of the Atlantic, including Prof. John Landers from University of Massachusetts, Dr. Pat Andres from the Massachusetts General Hospital, Dr. Seward Rutkove from Beth Israel Hospital Boston, Prof. Leonard Petruccelli from the Mayo Clinic, Dr. Francisco Baralle from the International Centre for Genetic Engineering and Biotechnology in Trieste and Dr. Laura Ferraiuolo from the Sheffield Institute for Translational Neuroscience. Moreover, many young PhD students and post docs presented their research allowing for exchange of ideas with top international investigators. Additionally, two poster sessions provided ample opportunity to share new ideas and discuss the exciting developments in the field. 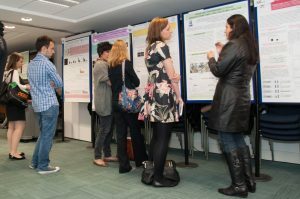 ENCALS provided poster awards to acknowledge the high quality of poster presentations. The winners were Annemarie Hübers, Ulm (clinical ENCALS poster award 2015) and Christine Marques, Strasbourg (basic science ENCALS poster award 2015). Participants enjoyed the conference dinner in the Dining Hall of Trinity College Dublin with a wonderful performance of the Chapel Choir of Trinity College. 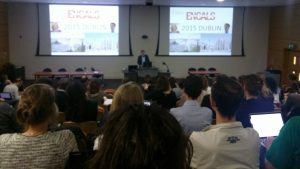 The ENCALS meeting in Dublin was a great success with over 30 oral presentations and 80 poster presentations and many opportunities for young researchers to enhance their network. The ENCALS executive committee would like to thank Prof. Orla Hardiman, Dominique Plant and the whole Dublin team for hosting the every year increasing group of ENCALS participants at this excellent meeting. 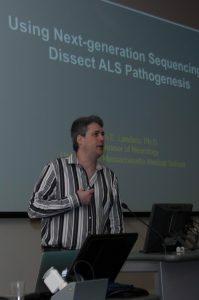 Multiple sessions of the 2015 ENCALS meeting are summarized in the RECCOB blog, the ALS/MND Research and Care Community Blog covering ALS conferences. Additionally, a blog on the experiences of a post doc at the ENCALS meeting can be found at the neuroscience research blog of SITraN, the Sheffield Institute for Translational Neuroscience.